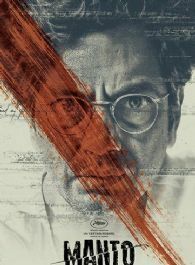 Manto is a 2018 Indian biographical drama film, written and directed by Nandita Das. The film stars Nawazuddin Siddiqui in the title character of Indo-Pakistani, Urdu author, writer Saadat Hasan Manto. Tahir Raj Bhasin plays the role of the 40's Bollywood superstar Shyam Chadda and Rasika Dugal plays the role of Manto's wife, Safia. Nawazuddin is back with ANOTHER content-driven film! Nawazuddin would LOVE to do THIS If he's REMOVED from Bollywood!